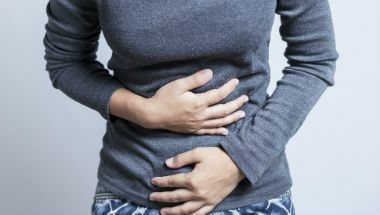 Following NICE recommendations, patients with Crohn’s disease will have routine NHS access to drug ustekinumab, which offers a new way of treating the condition. Ustekinumab (also called Stelara, manufactured by Janssen) will be available for patients with moderate to severe Crohn’s disease. It is recommended by NICE as an option for treating the disease in adults who have had little or no response, or an intolerance to existing therapies. Crohn’s disease is an inflammatory bowel disease, and can affect any part of the digestive system. Symptoms can include stomach cramps, diarrhoea and fatigue. It is a chronic condition which means that is it lifelong. Ustekinumab works in a different way to existing treatments and is already recommended by NICE to treat psoriasis and psoriatic arthritis. It is an innovative human monoclonal antibody treatment which binds to specific proteins on cells, known as IL-21 and IL-23. This stops the production of cytokines which cause the inflammatory response inside the body. Professor Carole Longson, director of the health technology evaluation centre at NICE, said: “We are delighted to be able to recommend ustekinumab for routine NHS use. Crohn’s disease can have a debilitating impact on a person’s quality of life, from self-esteem through to experiencing regular relapses. There is an estimated 132,049 people with Crohn’s in England and Wales, and just under 28,000 are estimated to be eligible for this treatment. The committee heard that the disease follows an unpredictable pattern of remission and relapse, significantly impacting patients’ everyday lives. The evidence showed ustekinumab improved quality of life and is well tolerated amongst patients. Sarah Berry, Health Policy & Public Affairs Officer from Crohn’s and Colitis UK, said: “We are delighted that NICE has recommended ustekinumab as a treatment option for adults with Crohn’s disease and has listened to and valued the evidence from patients through the appraisal process. The impact of uncontrolled symptoms of Crohn’s disease can be profoundly debilitating and current treatment options simply do not work for everyone. This ruling gives access to a desperately needed additional treatment to those who may otherwise have been condemned to living with unmanageable disease progression with devastating impact on their quality of life. We now look forward to people being able to access this treatment option as soon as possible”. Once NICE recommends a treatment ‘as an option’ in final guidance, the NHS must make sure it is available within three months (unless otherwise specified) of its date of publication. This decision does not mean that people currently taking ustekinumab will stop receiving it. Posted on April 27, 2018 by Asad Abid. This entry was posted in Crohn’s Disease. Bookmark the permalink.